I'll post this now and see what it does. Wish I could join you guys...maybe sometime in the future? Have fun! 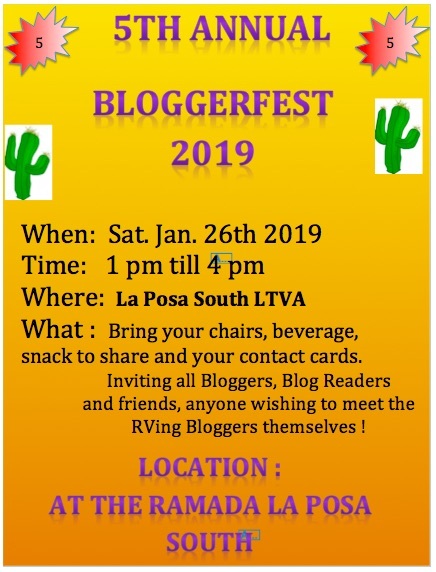 I bet that would be a fun gathering and if my motorhome was running, I would consider attending. As it is, it has been sitting for a year or two. Looking forward to seeing you there again this year. Looks good will see y'all there. 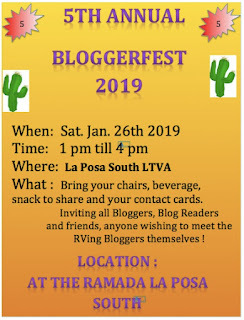 Since I don't have your E-Mail, We have Tables for Bloggerfest.